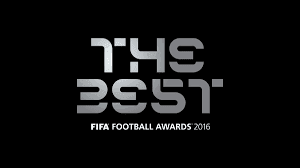 FIFA awards delivered next January 9 in Zurich will like denomination 'The Best' to distinguish, among others, the best players and coaches in 2016, whose ten candidates for these categories will facilitate this week. Tuesday unveiled the ten finalists for the best women's football coach and 2nd Wednesday which will compete for the same prize in men's soccer. The 23 candidates to be the best player of the year will be announced on Friday, 4 and the names of the ten candidates for the award in the female category will be announced on Thursday, November 3. The voting process will be between 4 and 22 November addition to coaches and players, the other distinctions that FIFA will distribute in the gala will be the awards' Puskas', 'Fair Play', 'Hobby' and 'Once FIFA FIFPro World '. FIFA explained that the winners will be chosen after a process in which 50% of the result will be based on the votes of the captains and coaches of national teams from around the world. The other 50% is the sum of the result of a public vote on the Internet and "preferences of a select group of more than 200 representatives of the world media." The new award to the fans will choose it the fans themselves who will vote on digital platforms FIFA to choose your favorite, after "a panel of experts" to develop a selection "of the most memorable moments of the year featuring fans copies ". The eleven year we elect professional footballers around the world; the winner of Puskas goal of the year award will be selected by fans through an open vote and a group of experts will decide the winner of the Fair Play Award, as explained by FIFA. The voting process will last from 4 to 22 November and the final list of three nominations for each award will be announced on December 2nd. FIFA plans to organize a competition on their digital platforms for fans to be eligible to win tickets with travel and accommodation included, to attend the awards ceremony. This event is dedicated to football and all players, coaches and fans who live with passion. It will be a new event to remember, which will celebrate the sport we love so much, said its president, Swiss Gianni Infantino. 0 Comment about "FIFA awards replacing the Golden Ball have new name: The Best"